Every special interest group that seeks to influence public policy pays lobbyists. There is nothing remarkable in that observation. Manufacturers, hospitals, insurance companies, banks, even churches pay lobbyists to transubstantiate their agenda into laws, money, and regulations. But some environmental groups in New Mexico have gone where no interest group has gone before. They have three elected officials directly on their payrolls. The mission of these groups is to influence public policy to preserve wilderness and other public lands. Their work has expanded to include fighting the oil and gas industry as a general principle. Their fight against oil and gas drilling has taken them from the Rocky Mountains to the depths of the oceans. The Wilderness Society has been one of the leaders in opposing opening the Outer Continental Shelf and areas in the Gulf of Mexico to energy exploration and production. NMWA has led the opposition to natural gas drilling in Otero Mesa, a sprawling desert emptiness on the Texas border. Blocking energy production in the Arctic National Wildlife Refuge has been at the top of the agenda for The Wilderness Society for a generation. Even though the Arctic plain is thousands of miles distant, with a climate, flora and fauna unlike anything in New Mexico, NMWA has joined that fight. Both organizations want reintroduction of large predators in New Mexico, expansion of their range and restrictions on human activities that come in conflict with the animal’s needs and behavior. These groups have worked aggressively for reintroduction of wolves in southwest New Mexico. They also want to see reintroduction of the jaguar. The current executive director of NMWA has called for releasing grizzlies in New Mexico even though that might cause an “inconvenience” for human beings. Both organizations also participate in litigation to stop human activities, from recreation to natural resource extraction, which they deem contrary to the interests of selected wildlife species. The programs of these organizations adversely impact the oil and gas revenues that constitute a third of the New Mexico state budget and support schools around the state. These organizations’ wildlife policies also place them into direct conflict with agriculture, one of the major employers and sources of income and taxes in rural New Mexico. Opposition to developing ANWR, the OCS and other federally owned energy deposits has the added consequence of reducing federal revenues critical to New Mexico’s economy and contributes to the nation’s increasing dependence on foreign sources of oil. The Wilderness Society has headquarters in Washington, D.C. It is a tax-exempt 501(c)(3) organization, meaning it does not pay taxes on its income. According to its 2006 report to the IRS, The Wilderness Society earned $37.5 million in income. It claimed assets of $53.9 million, including an investment portfolio of $27.6 million. 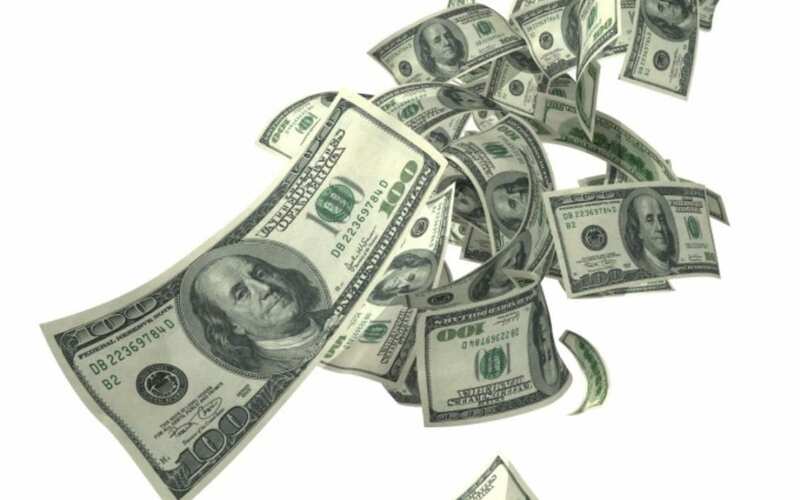 Its top executive officer earned nearly $300,000. It has more than 85 employees who earn over $50,000, about twice the median income of a New Mexican family of four. 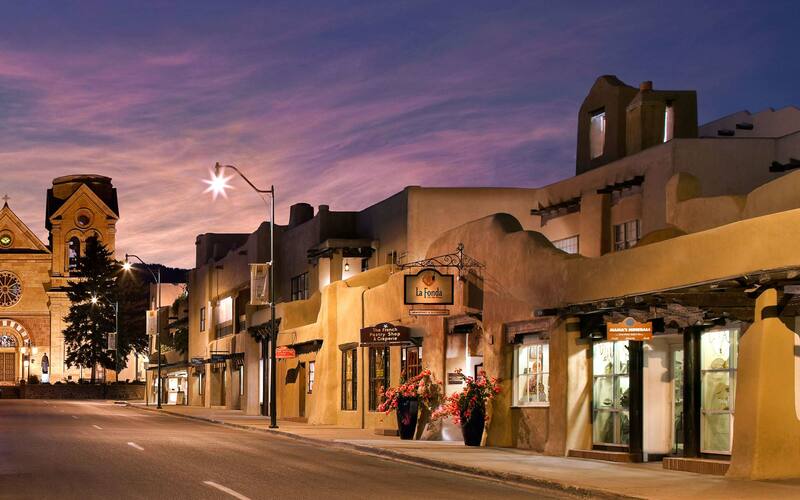 Though it is much smaller, NMWA has offices in Albuquerque, Las Cruces, Carlsbad and Santa Fe. Its budget in 2005 exceeded $750,000. Its 2006 budget was $427,000. Its executive director makes more than $50,000. Details on other staff salaries are not public information. Under state and federal law, a person paid to influence legislators and their staffs is required to register as a lobbyist, disclose their clients, and report gifts, meals and trips provided to legislators and staff. Environmental groups, like industry groups, have teams of lobbyists that work Capitol Hill and the Roundhouse in Santa Fe. Certain New Mexico lobbyists, such as Gregory Green and Linda Siegel, specialize in representing environmental groups as part of a “progressive” advocacy practice. A search of lobbyist disclosure records reveals the identity of their clients. A search by organization, conversely, reveals the lobbyists each organization has retained. No similar disclosure requirements apply to the three elected officials on the payrolls of The Wilderness Society and NMWA. The on-line legislative profile of Jeff Steinborn describes his occupation only as “land conservation.” That information is so inadequate it is misleading. The occupation of “land conservation” could equally apply to a range scientist working with ranchers and farmers. Much of the work of Steinborn’s employer, on the other hand, is intended to, or has the consequence of, adversely impacting agricultural activities. Steinborn’s employer’s idea of “land conservation” is removing land from all uses except sitting idle as wilderness. Steinborn’s vague occupational description fails to reveal that he works in direct opposition to the state’s largest private employer, the oil and gas industry, and the largest single pillar upholding state government’s budget. NMWA fights the industry throughout the state. Sometimes those battles swirl around remote areas like Otero Mesa. But NMWA has also jumped into the fight to prevent oil drilling in the Galisteo Basin outside Santa Fe. This area has been so impacted by human activity—subdivisions, roads, utility corridors, mining—it would never qualify for wilderness designation. NMWA also injects itself into controversies about oil and gas operating regulations. NMWA has endorsed tighter and more costly restrictions on oil and gas operations that, by their very nature, do not take place in wilderness but in existing production areas. Neither Bernalillo County nor the City of Las Cruces requires very detailed financial disclosure information from elected officials. The nature of the employment of Archuleta and Small is not described on those governments’ websites. 1. What are your duties and responsibilities for The Wilderness Society [or NMWA]? 2. How do you separate your role as County Commissioner [State Representative, City Councilor] from your role as an employee of The Wilderness Society [or NMWA], particularly how do you prevent your public office and title from benefiting The Wilderness Society’s [or NMWA’s] work? 3. Do you perceive any conflicts of interest between the interests of The Wilderness Society [NMWA] and the interests of your constituents? If so, please explain. 4. What is your compensation from The Wilderness Society [NMWA]? None of the officials would answer these questions. The New Mexico State Legislature is a volunteer legislative body. Legislators receive only a per diem while in session or performing committee work between sessions. Their occupations range from lawyer to rancher. Many are educators. Many are retired. A few work for non-profit organizations or tribal governments. No legislator but Steinborn works for an organization whose sole reason for existence is to influence public policy and law through political action, grassroots pressure and lobbying. Bernalillo County pays commissioners just under $30,000 for what is supposed to be a part-time job, but sometimes balloons into a full-time calling. The Commissioners have other jobs in real estate, broadcasting and education. None but Archuleta works for an organization that exists to bend governmental policy to serve its organizational objectives. The Las Cruces City Council is composed of volunteers. Only Small is employed by an organization that also lobbies the Council. Other legislators have occupations and trades. Why does it matter that these elected officials work for organizations that exist to influence governmental action and policy? Consider more closely Nathan Small’s dual role as a Las Cruces City Councilor and a “wilderness protection organizer.” He and Steinborn have spearheaded a multi-year, costly campaign by NMWA to persuade Congress and the President to designate about 400,000 acres surrounding Las Cruces as federal wilderness and National Conservation Areas. The wilderness designation is the most forceful tool in the preservationist’s toolbox. It imposes the most stringent, sweeping restrictions of any federal conservation measure. No building or road construction may occur and no motorized vehicles or mechanical equipment may be used in wilderness. Flood control authorities may not use bulldozers, the lame cannot use wheelchairs, and policemen would have to get out of their vehicles and chase on foot or horseback a criminal driving—illegally—into a wilderness area. The implications of these restrictions for life in a large urban area have triggered opposition from the Chamber of Commerce, community leaders, off-road vehicle recreationists, and law enforcement. One of the strategies of the campaign directed by Small and Steinborn has been to seek endorsements from local governments to demonstrate for Congress local support for the wilderness proposal. Before Small was elected, he lobbied the City Council to win its endorsement for wilderness. Since Small’s election, opposition to wilderness has exploded and the Council is being asked to join other local governments in reversing its position. The Las Cruces City Council has yet to schedule that vote. During City Council consideration of any matters involving wilderness, Small makes a show of excusing himself. But a theatrical departure from chambers cannot completely insulate council from his influence. Legislation is a process of compromise, negotiations, trading favors and storing up payback. At some point, a fellow council member will need Small’s support on a close vote for roads, sewers, playgrounds and public improvements in their council district. Legislators remember favors granted and favors denied. Small may be out of the room when wilderness is being discussed, but he is never out of the picture. A second problem is that the elected office and title held by these individuals cannot help but benefit their employers. Small cannot seem to keep his NMWA role separate from his official duties when he is in the public eye. He led a rally on June 24, 2008 in support of the wilderness proposal. The story earned a banner across the top of the front page of the Las Cruces Sun-News. Small’s photo occupied the upper right hand corner. He was identified as a city councilor speaking in support of wilderness. Hatch is an agricultural village in Dona Ana County north of Las Cruces. Small sought support for NMWA’s campaign from its village trustees and chamber of commerce. He was identified in those proceedings as a Las Cruces City Councilor. Hatch Village Trustee David Sment says he did not know Small was being paid by NMWA until sometime afterwards. Then there is the battle over Otero Mesa. Otero Mesa is located about 150 miles east of Las Cruces, across the Organ Mountains, White Sands Missile Range, and tens of thousands of acres of other federal land. It can only be reached by rough roads with a well-earned reputation for destroying tires, as this author has personally experienced. Otero Mesa contains large groundwater reserves that are currently being tapped for agriculture across the border in Dell City, Texas. The El Paso metropolitan area is the most likely recipient of that groundwater if it is ever mined for municipal use. Ranching is the sole industry on Otero Mesa. This shadeless, windy steppe offers little recreational value to a distant urban population. It has no developed visitor sites, campgrounds or trails. If you visit Otero Mesa, bring your own water. The only potable water is inside the few isolated ranch houses. A person who comes unprepared will have to decide if they are thirsty enough to slurp the muck from earthen stock tanks. Since Small’s election, the Las Cruces City Council has discovered Otero Mesa. This year City Council voted to endorse NMWA’s proposal to block gas exploration and production in Otero Mesa. Coincidental or not, every one of the elected officials on the payroll of these environmental groups is a Democrat. By placing on their payroll politicians with no other significant source of income, these environmental groups can effectively subsidize a political career. As that career advances, the politician is in a better position to repay, if not simply remember, who their patron has been. U.S. Senator James Inhofe of Oklahoma, the ranking member on the Senate Environment and Public Works Committee, released in September 2008 a report on the increasingly indistinct lines between tax-exempt environmental organizations and prohibited partisan political activity. Entitled, “Political Activity of Environmental Groups and Their Supporting Organizations,” the report details the myriad creative ways environmental organizations have been using tax-exempt money to engage in electoral politics. New Mexico may be on the cutting edge of a disturbing new development in this area.